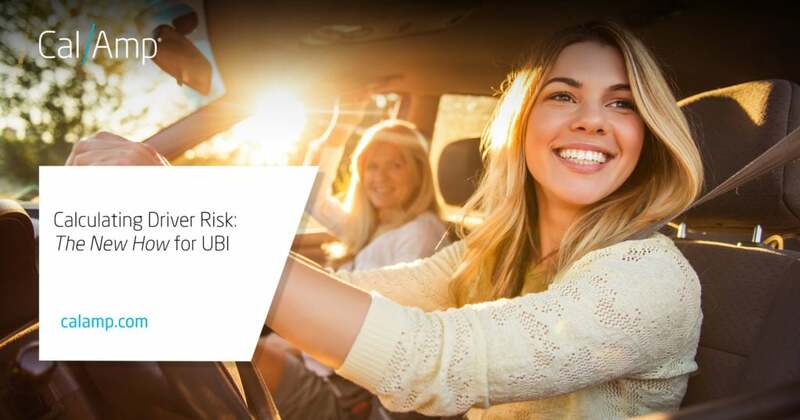 Usage-based insurance (UBI) paired with vehicle telematics is an evolutionary step over traditional risk rating methods for insurance underwriting. Instead of pricing insurance coverage based mainly on age, credit score, address, occupation and other variables, telematics enables UBI, which can augment the rating factors above and deliver much more insight into the individual driver’s style, current behavior and risk of making a claim. This information makes it easier for insurance companies to evaluate the specific risk and therefore price the policy more accurately. The benefit for customers, potentially, is a reduced coverage rate. UBI, when designed and implemented well, incentivizes drivers to improve their habits and drive more safely. As the connected vehicle market continues to grow, new data streams become available in real time. UBI enhancements will come from these complementary applications resulting in rich, compelling services that add value and drive further growth. We are calling this The New How for UBI. UBI has been available for years, and while its early growth has not been as great as many had hoped, the future for UBI looks very bright. Independent Agent Magazine predicts that the market may reach $123 billion dollars in the next five years, growing from 15 million to 142 million users. Usage-based insurance policies first appeared about a decade ago in the U.S., and earlier in Europe. In the beginning, companies often relied on mileage from odometer readings and other basic information such a zip code, gender, age, etc. Today, IoT technology, including vehicle telematics, collects and transmits driving data, often in real time, from a telematics device installed in the vehicle with integrated instruments such as a GPS, a tri-axial accelerometer and increasingly, a gyro. These instruments generate rich data in real time, including location, time of day, speed, distance driven, harsh driving such as hard acceleration and heavy braking, all elements of a comprehensive UBI solution. Stolen vehicle recovery, vehicle diagnostics from the CAN bus and crash management combined with UBI create compelling connected vehicle solutions. Consumers and insurance companies both benefit from insurance telematics for UBI and crash management. The connected vehicle helps reduce risk by rewarding safer driving habits, providing 24×7 data accessibility, streamlining the claims process and minimizing fraud. In addition, insurers harnessing insurance telematics data can better assess risk for the underwriting of policies. Usage-based insurance is not only for consumers, but also for commercial fleets. Loss of coverage or increased rates is a good incentive to provide driver training and reward good habits when in the field. Driver scorecards help managers spot any issues that require correction. Connected vehicles help companies calculate and manage risk whether it be for insurance underwriting, crash management, fleet management or asset management. Telematics data facilitates operational efficiencies, streamlined processes and improved maintenance. Delivering best in class telematics solutions globally requires expertise, resources and scale. CalAmp offers full-stack solutions of intelligent devices, software applications and scalable cloud services to our customers. For more information about CalAmp’s insurance telematics solutions including our 2018 Global Mobile Award nominated Crashboxx™, visit our page here.